I attended school during an unusual time in the technological revolution in the United States: it was at the point when technology became just inexpensive enough to purchase for the classroom. However, just because we students had access to these fancy, new tools, it didn’t necessarily mean that technology was effectively implemented or that our teachers were suddenly computer experts. It was a brave, new world – and my peers and I were pioneers; clearing the way for generations to come. It was my generation that made the switch from Floppy Disks in elementary school to USB Flash Drives in middle school. I also remember a time in which half the class’s homework was turned-in handwritten and the other half was turned-in typeface – because teachers didn’t feel comfortable mandating preteens to use a computer. (As one might imagine, both handwriting and spelling found themselves factored out of the final grade.) There were a lot of glitches along the way, however. I will never forget the instance in computer lab, when learning how to conduct research on the internet, an entire classroom of 10-year-olds suddenly had a pop-up window on the screen, notifying each one of us that we had been chosen as “the winner” of a free vacation getaway to Hawaii. The pandemonium and jubilation which immediately broke out as we began to celebrate our good fortune rendered the instructor ineffective for the rest of the class period. I remember when Wikipedia first appeared on the scene and how controversial it initially was. In fact, many of our teachers did not want us to use it – and, if I remember correctly, even deducted points if we used it as one of our sources. However, Wikipedia was clearly there to stay – and slowly it was incorporated into our education. At the time of writing this post, there were nearly 4.6 million articles published in English alone. Everything and everyone worth noting seems to have a Wikipedia entry. Followers of my blog know that I do not often mix religious beliefs with my book challenge. However, I decided to make an exception for this book – a signed copy which was given to me by one of my Rwandan friends as a birthday gift. For those who would prefer a more secular overview of Rwanda, I have already read and blogged about five books about the country, and I suggest that you read those. However, I also encourage you to read this book. Not only is it insightful and interesting - more importantly, it provides an example in which Rwanda is exceptional in a positive way, rather than the 1994 genocide, which seems to hang over the country’s history like a dark cloud. If you google “Kibeho,” you will find that it has several Wikipedia articles associated with it. Kibeho is a small town in the southern part of Rwanda – home to a little more than 20,000 people. It is famous for two opposing reasons. The first was the location of the brutal 1995 Kibeho Massacre, following the 1994 genocide. Fearing retaliation after the genocide and the Rwandan Patriotic Front ascension to government power, a large number of Hutus (some guilty of genocide, many not guilty) fled to safe areas. The Democratic Republic of the Congo, Tanzania, and Burundi became filled with such refugees – but many stayed in the country through the French “Operation Turquoise,” which provided safe zones in internally displaced person (IDP) camps. One such camp was in Kibeho, which is where the newly-empowered RPF (having converted into the RPA – Rwandan Patriotic Army) massacred an estimated 4,000 people under UN protection, while attempting to find and seek justice from the former Hutu perpetrators of genocide. Despite this horrendously negative connection with Kibeho, throughout Rwanda (and indeed throughout the world) Kibeho is celebrated as a place of immense religious significance, especially to the Catholic faith. “In November 2001, the Vatican, in an extremely rare decree, approved the apparitions of the Virgin Mary experienced by three Kibeho visionaries between 1981 and 1989. Those three visionaries – Alphonsine, Anathalie, and Marie-Claire, were all teenage schoolgirls at Kibeho High School…” (page 5) These powerful religious apparitions, in which the girls would fall into a trance-like state (unable to be broken by intense physical pain inflicted upon them), brought the people of Rwanda together in a powerful way. Their apparitions, as well as those of the book’s namesake Segatashya, were recorded and broadcast around the country through radio. These apparitions even transcended socio-economic divides: bigwigs and politicians (including then-President Juvenal Habyarimana) flew down from their villas from the capital of Kigali to an impoverished corner of the country to seek divine wisdom and advice. However, all of the messages imparted in these apparitions were not positive. The author noted that “the Blessed Mother specifically predicted – 12 years before it devastated my country – the 1994 genocide, in which she said that a “river of blood” would flow across Rwanda unless my countrymen stopped harboring hatred for each other and, instead, filled their hearts with the redeeming love of her son, Jesus. With that love, she said, the looming disaster and bloodshed could be averted.” (page 22) In fact, Segatashya, actually saw people hacking others with machetes in one of his apparitions, in which he talked with Jesus. 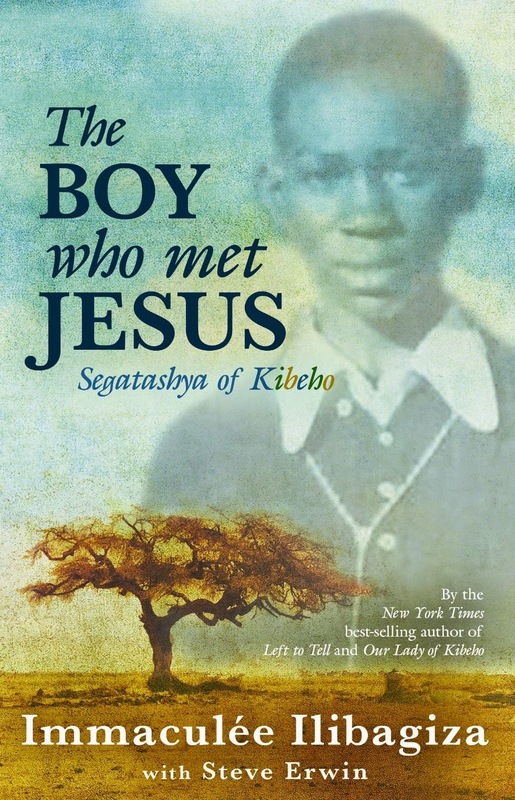 After his apparitions ended, Segatashya devoted his life to spreading the message of Christianity – often putting himself through unimaginable and life-threatening hardships as a missionary in Burundi and the Democratic Republic of the Congo – a mission to which the author dedicated a great deal of her book. At less than thirty years old, he was killed during the 1994 genocide by a death squad. His brief life was impressive and inspiring. This book provided me with a new understanding and appreciation for the spiritual life in Rwanda; an aspect which is often overlooked or disregarded in the studies of a region or country. journals, including The Iowa Review, North American Review, The Kenyon Review, Alaska Quarterly Review, and The Chattahoochee Review. Twice I have been nominated for The Pushcart Prize. My short story "The Scratchboard Project" received an honorable mention in The Best American Short Stories 2007. Cleanly written and briskly plotted, DON'T FORGET ME, BRO is a quick, fabulous read, a literary page-turner. Never before in my career could I say this about my work. So I say so now with a truth I can all but guarantee.